Girls have more firmly embraced digital literacy and formats such as Facebook, email and text message, while boys are more comfortable with traditional printed media such as comics, manuals and newspapers, according to a study published by the National Literacy Trust. The snapshot – based on responses from 32,000 pupils at more than 130 schools in the UK – found that girls continue to outpace boys in their enthusiasm for reading outside school at all age levels, with black girls in particular showing a prodigious appetite for literature. Girls studying for GCSEs, for example, were more likely to read emails and social network sites than boys of the same age – and were also more likely to read fiction, suggesting that the growth of digital media has not diminished the popularity of literature. Boys studying for GCSEs were more likely than girls to read print products such as comics, with 38% saying they read newspapers at least once a month compared with 30% of girls of the same age. Overall, boys reported lower levels of enjoyment from reading than their female peers, according to the figures compiled by the trust. Boys also tended to read less often and think less positively about reading than girls did. White boys appeared to be the least enthusiastic readers, with nearly one in six saying they had not read a book of any type in the previous month, while only one out of 20 black girls were in the same position. In contrast, 16% of black girls said they had read at least 10 books or more during the previous month, the highest reported figure among all ethnic groups of the children who responded. 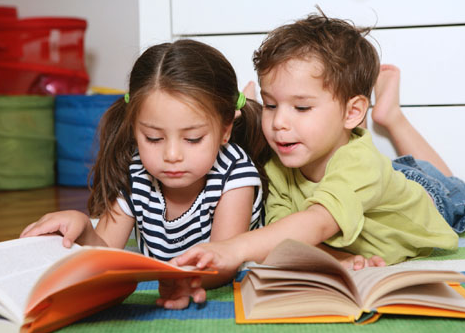 Cressida Cowell, the author of How to Train Your Dragon and a national literacy ambassador, said: “Reading a book with a child, even an older child, is one of the most important things a parent can do to develop their child’s literacy. The study found that more girls than boys said they enjoyed reading “very much” by 30% to 19%, with 62% of girls enjoying reading either very much or quite a lot compared with 47% of boys, among ages ranging from eight to 18. Nearly twice as many boys as girls said they do not enjoy reading at all, by 13% to 7%. More girls than boys said they read for fun outside of class every day, while more than a fifth of boys rarely or never read for fun outside of a classroom. “Too many boys still seem disinterested in reading, and far, far too many children simply never become readers at all. So we writers and illustrators and storytellers, and parents and teachers, and publishers and booksellers, must continue to play our part,” said Michael Morpurgo, whose novel War Horse was one of the most popular books cited. One finding from the study was that young people who received free school meals said they were more likely to read poetry outside of class than those who did not qualify for free lunches.